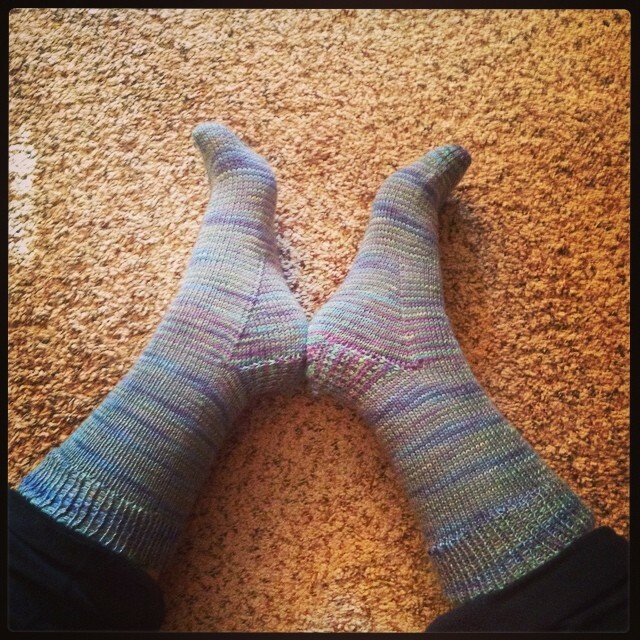 I was worried I didn’t have much to blog about this month, until I looked at my Ravelry page and realized that I actually got a lot done! It’s amazing how you can forget something you put so much love into, but the stresses of life make those moments fleeting. Anywho, let’s get right down to all the goodies I got to make this month! Verdict: This is the second time I’ve done this pattern because the results are just lovely – the yarn on the other hand was a trial. It is acrylic (sorry) with a soft single spin, which made the loose stitches rather difficult to work with. It turned out beautiful, softly muted pastel colors, but I don’t think I would recommend this yarn for this pattern. Verdict: The scarf is adorable and exactly what Patti wanted and needed (she can only tolerate acrylic yarn). 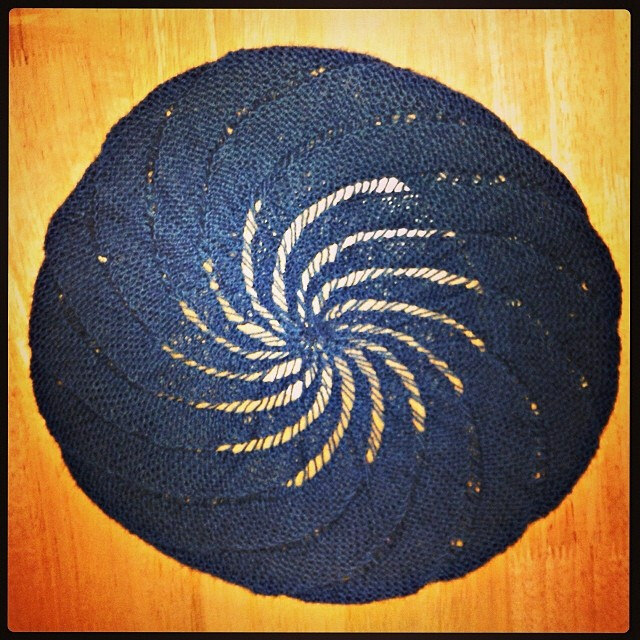 I saw this design knitted by @lollyknitsdesigns on Instagram and it was gorgeous – check it out if you want to see what a different type of yarn can do for this pattern. 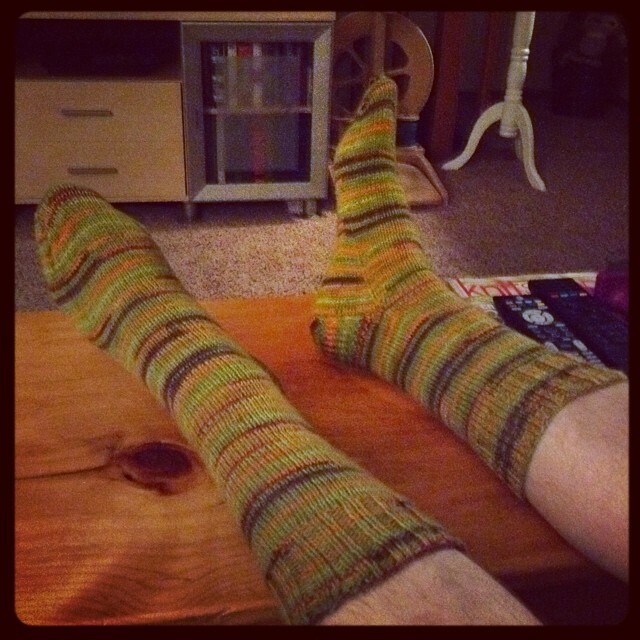 Oh Jeez …I made four pairs of socks this month! 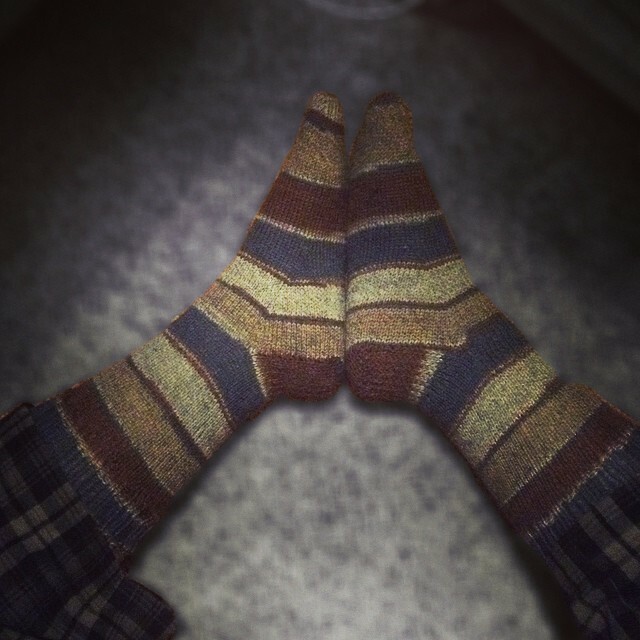 Patterns: In order from Top to Bottom: 1.Two at a Time (basically a combination of all the things I know about making socks), 2. 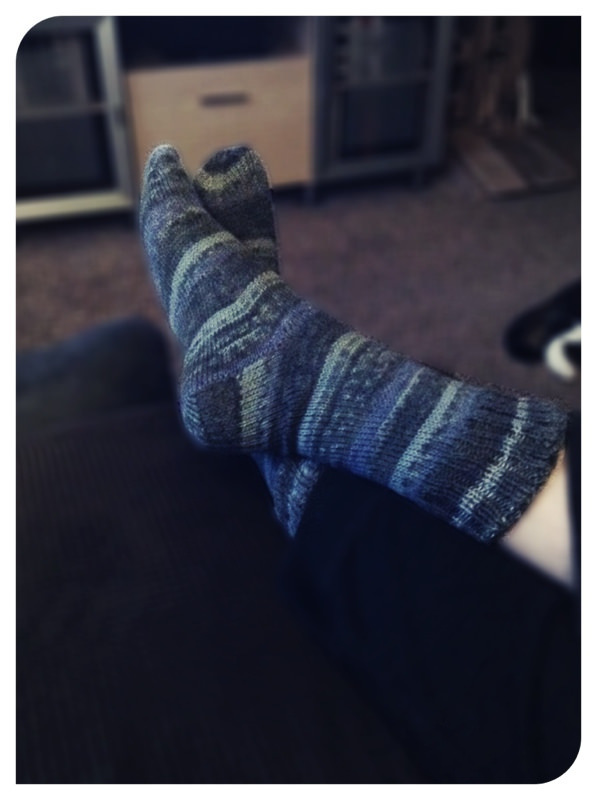 AfterThought Heel, 3.Knitmore Girls Vanilla Socks, 4. 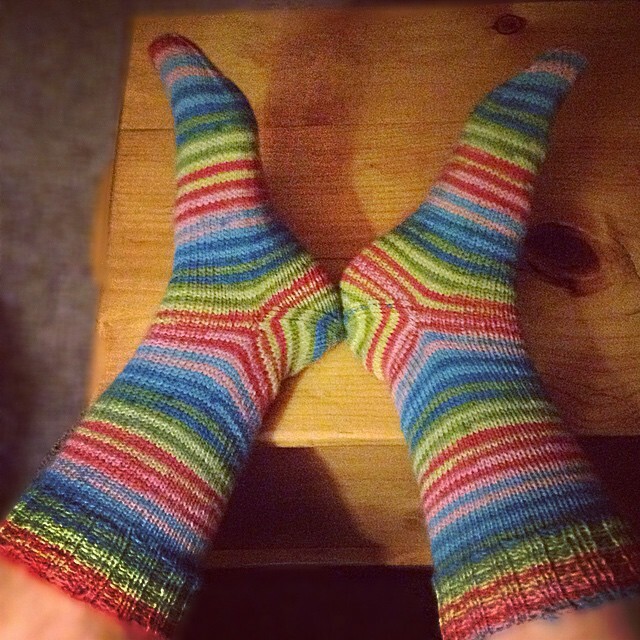 Knitmore Girls Vanilla Socks with modifications. 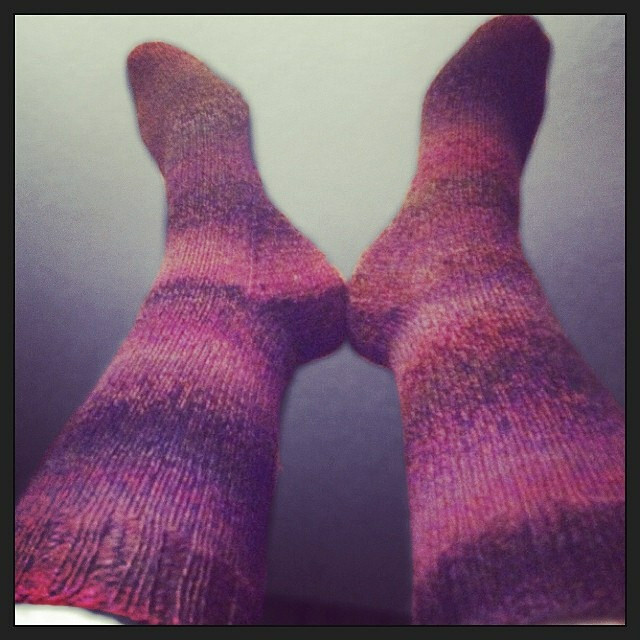 Yarn: In order from Top to Bottom: 1.Patons North America Kroy Socks Ragg Shades in Brown, Rose Marl. 2. 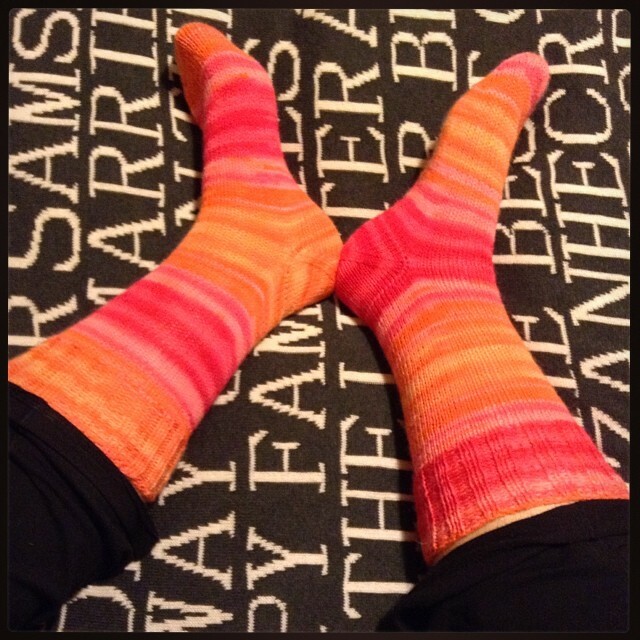 Regia Design Line Kaffe Fassett in Shadow Stripes 3. 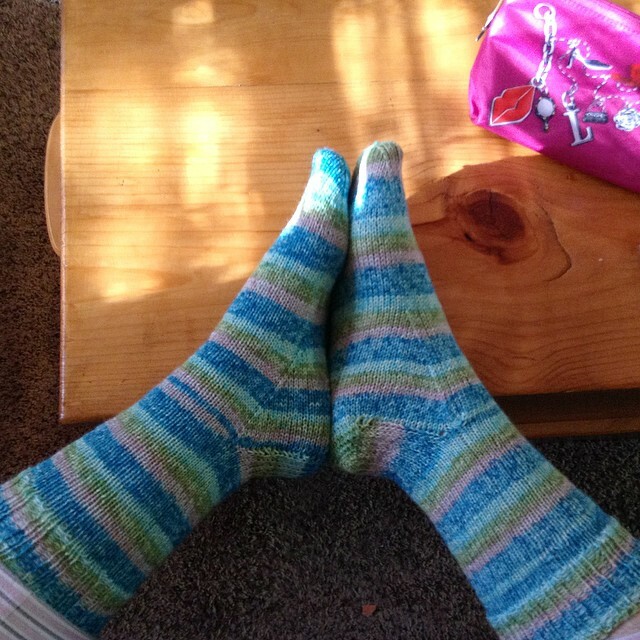 Patons North America Kroy Socks FX in Clover Colors. 4. 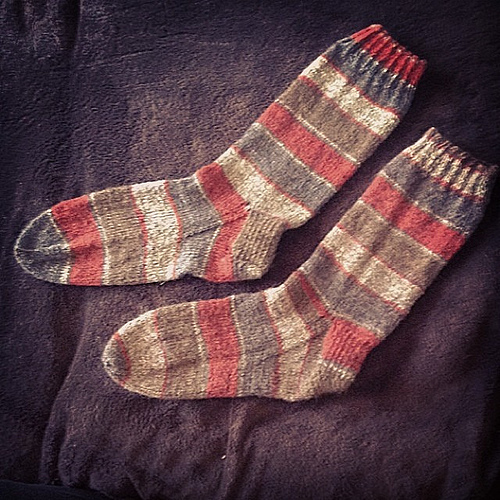 Patons North America Kroy Socks Stripes in Rusty Stripes. Verdict: LOVE! The pattern is really quite simple and adding the beads gave me even more time to enjoy the fantastic yarn because beads really slow me down. The first placement of beads was on the RS only on the K1 between the yos. On the WS (purling back row), I placed a bead on the stitch that was the double decrease. This way, it shows up on the RS. This was the only time I did this. On the two edges, I began placing them on in the second RS row, once there was a knitted stitch that would be next to the yo. I continued to place them on the stitch next to the yo on each row. I bound off on the RS using the extra stretchy bind off. 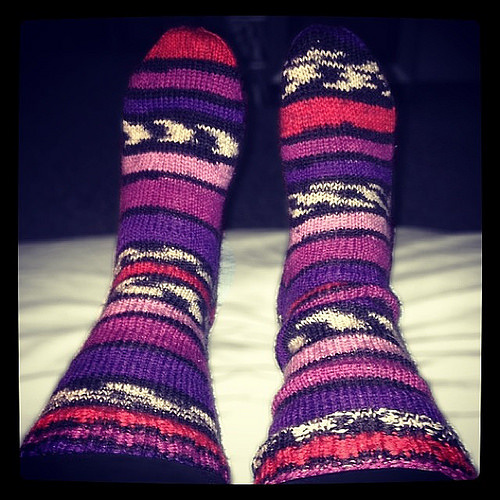 Verdict: Since I made two back to back I am obviously a fan! 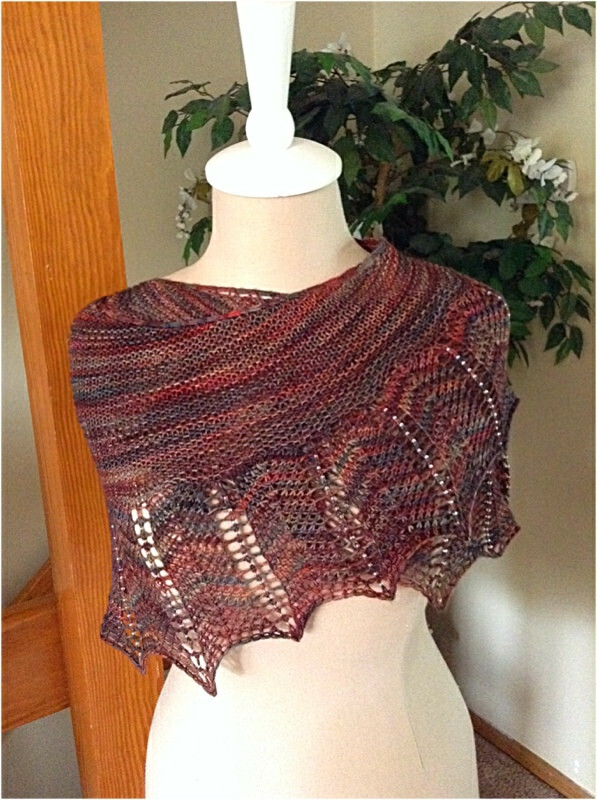 I love this pattern, it knits up so quickly and is dramatic without being overly fussy. 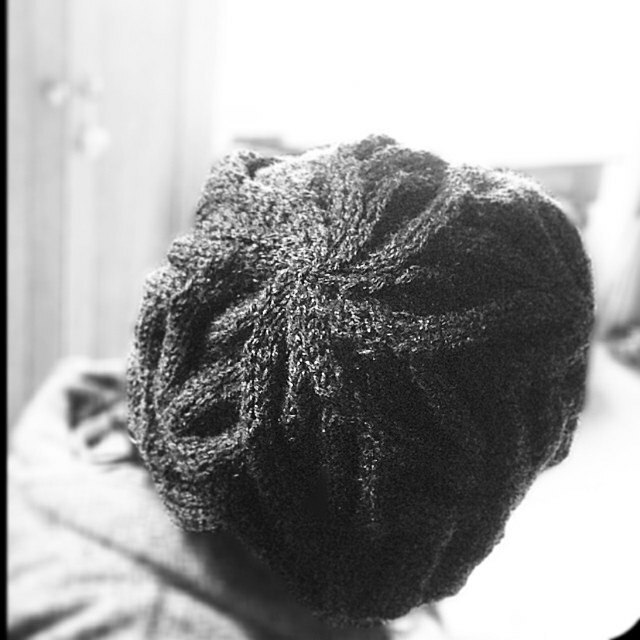 I see loads of these hats in my future… also my friends, family, and charity knitting future! 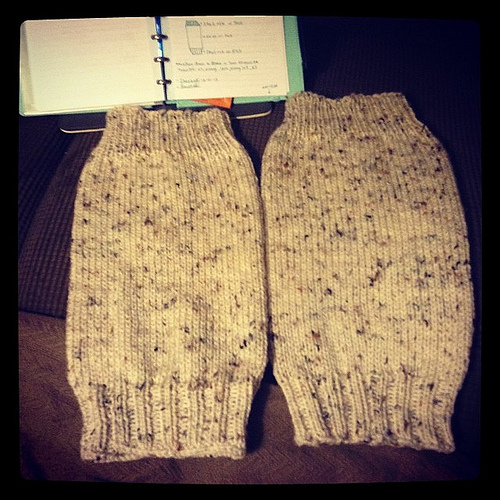 Verdict: I like that the pattern was simple and very intuitive, it became a very mindless knit. I am thinking that the reason I don’t like the beret is the yarn. 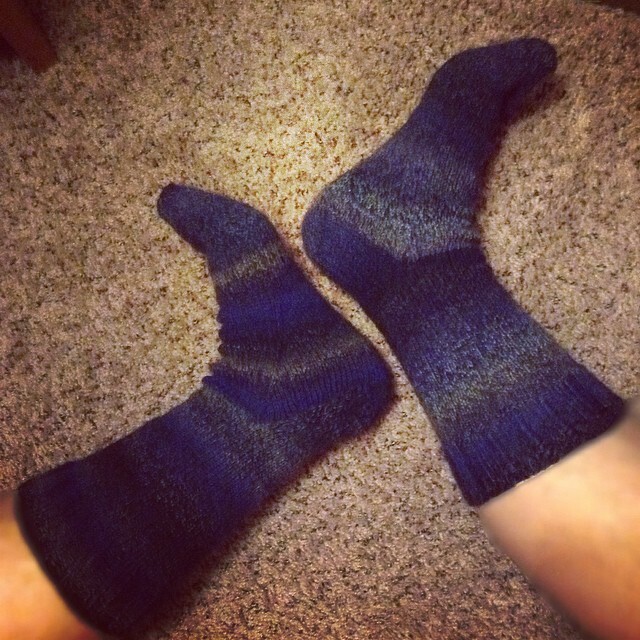 Lion Brand Sock-Ease has, well, too much ease. 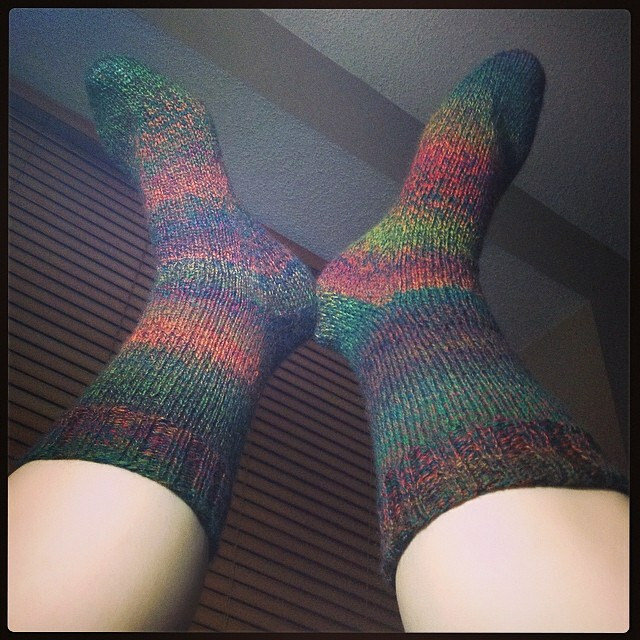 There is really no structure to this yarn and it is just so limp! 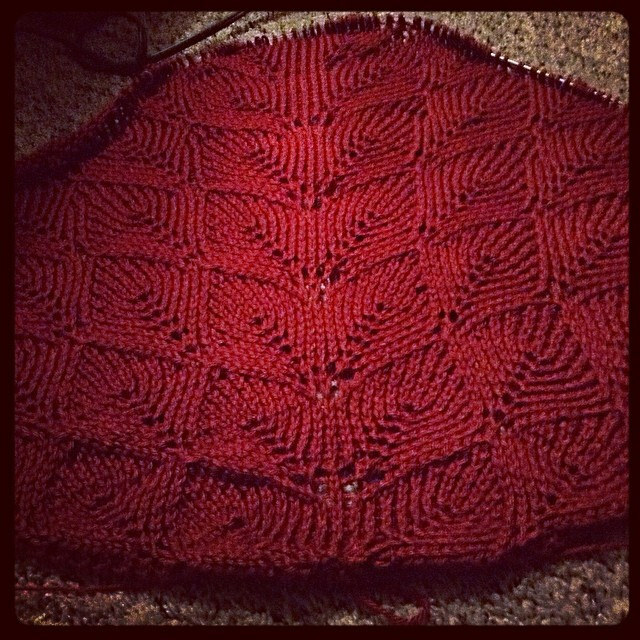 The pattern is free, and if I make it again I will try a better structured yarn. 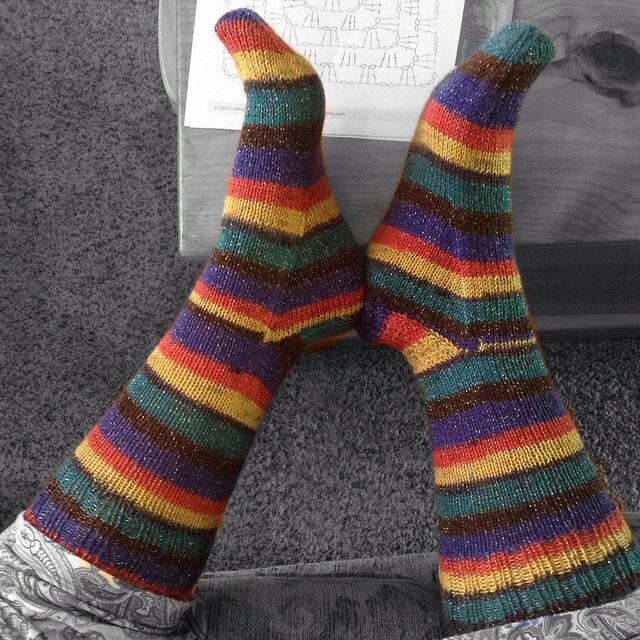 Verdict: (This is a free pattern so I’m not spoiling the secret sauce!) 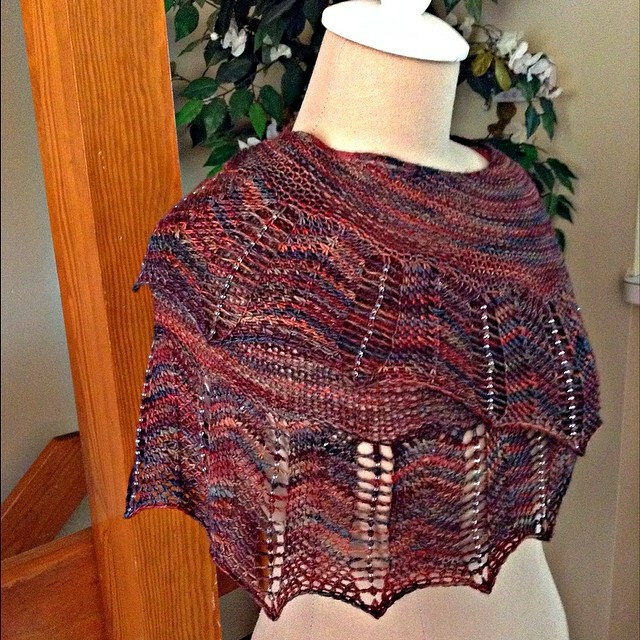 I did an extra repeat on Chart B which made this shawl a monster! That and the fact that acrylic yarn doesn’t like to block left me a little disappointed with the outcome which stinks because it is a beautiful pattern. Luckily my grandmother saw it, ripped it off my dummy and took it home. Word to the wise, if you can afford it use a real fiber! 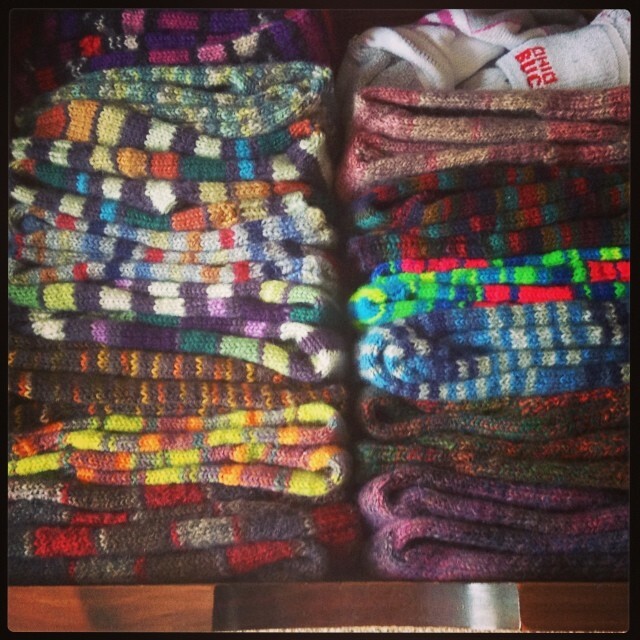 Here are the things I am always making in bulk for the store or for charity. Basically, I have no idea how many of these things I have made! They are all over my house, just begging to be counted! If you’ve made it to the end good for you! Thank you so much for looking at a months worth of work. 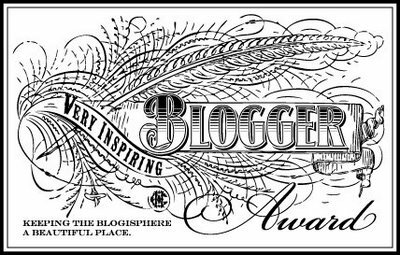 Dear friends and neighbors, here is to hoping for more time to play with fiber, to read blogs and to enjoy each others company! 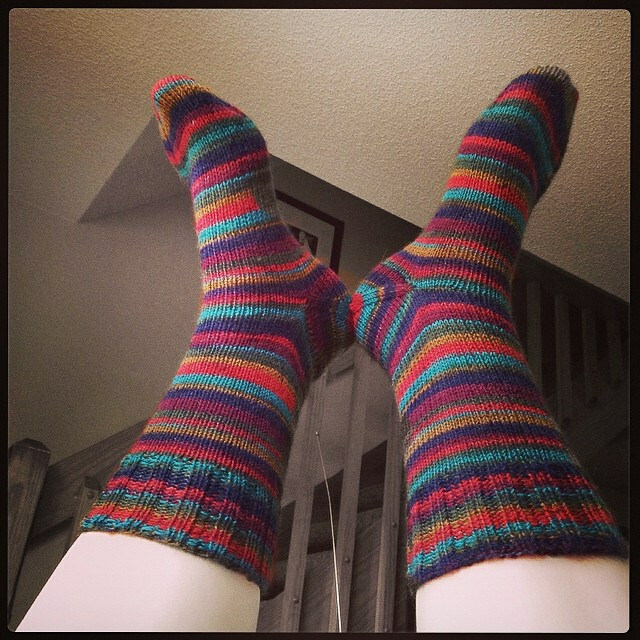 This entry was posted in Uncategorized on May 31, 2014 by allnightknits. 1) The first one is yet another Christmas Stocking. You’ve seen pictures of them in my last post so I won’t bore you again. 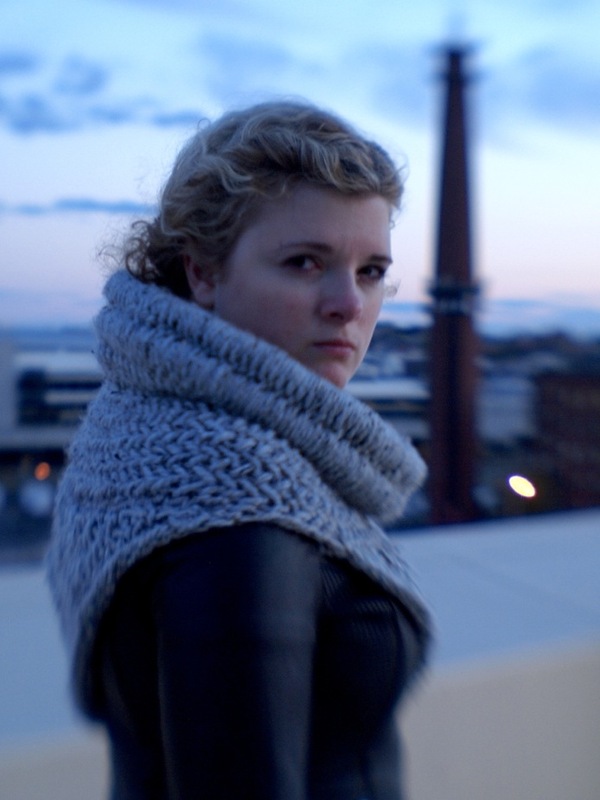 2) This is the Podcaster Cowl by Susan Ashcroft. 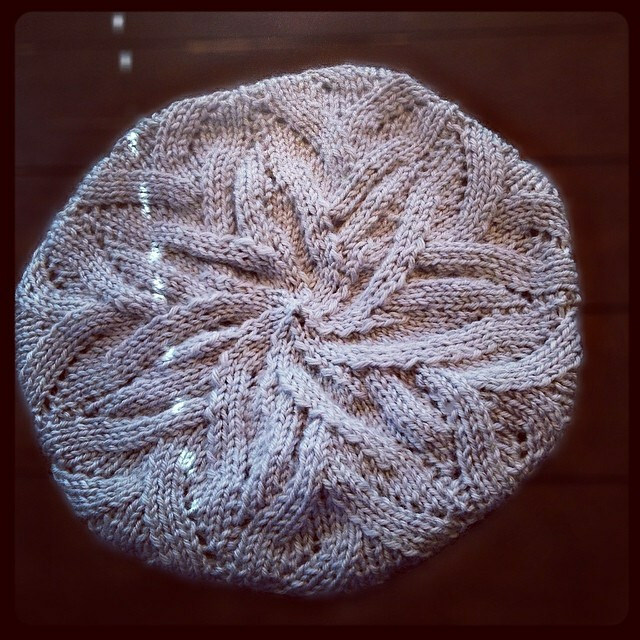 I made it with Lions Brand Vanna’s Choice Worsted in Dusty Green. 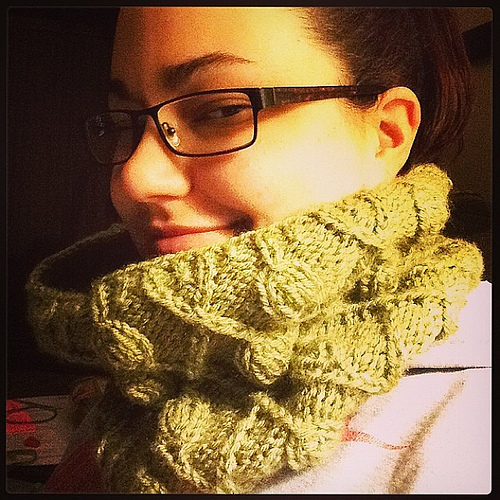 I LOVE this cowl! 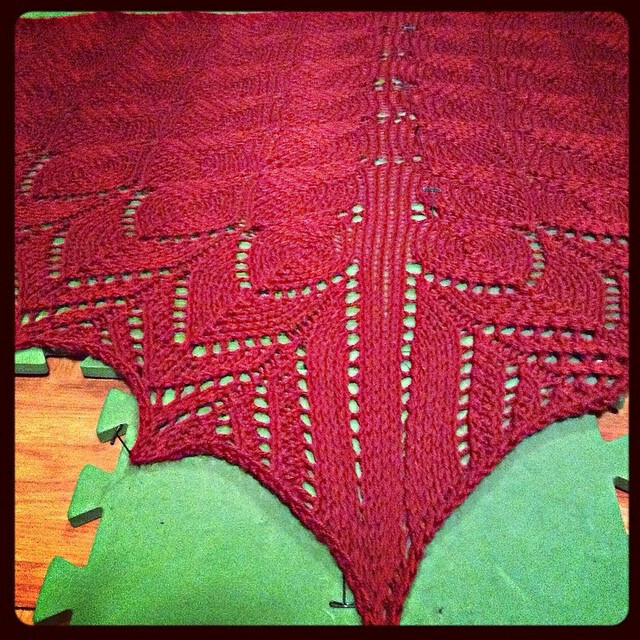 It has been a while since I’ve done a pattern that has a written, 24 row repeat (which I thought would be annoying but wasn’t at all) so I was a bit slow going at first – until I saw the first leaf come together. When that leaf popped out at me I was off, I couldn’t wait to get to the next leaf, before I knew it I’d been up for 22 hours and my cowl was done. All things considered I don’t look too scary in that picture. 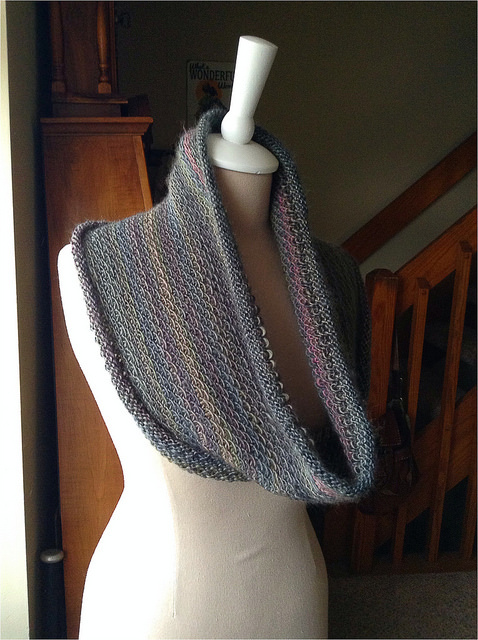 Also, this cowl in a worsted, slightly variegated Malabrigo would be breathtakingly beautiful! 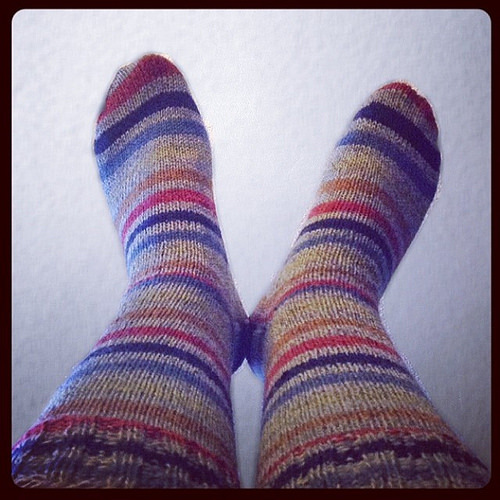 Legwarmers are great for watching movies – and keeping your legs warm. This is my own little tube design. The top is a 1by1 rib that goes over the knee and will stay there securely. I balloon out the calf section because she has big calves (a floor nurse for 30 years has given her very strong legs) and the ankle is a decreased section in 2by2 rib so it will fit securely across her ankle. 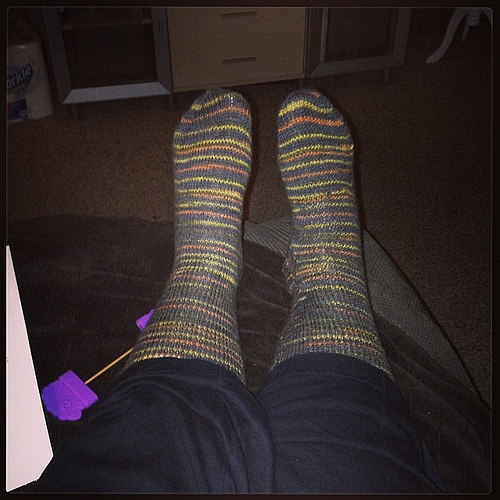 The finished decisions are; thigh 16″, calf 20″, ankle 12.4″ and the total length is just over 20″. 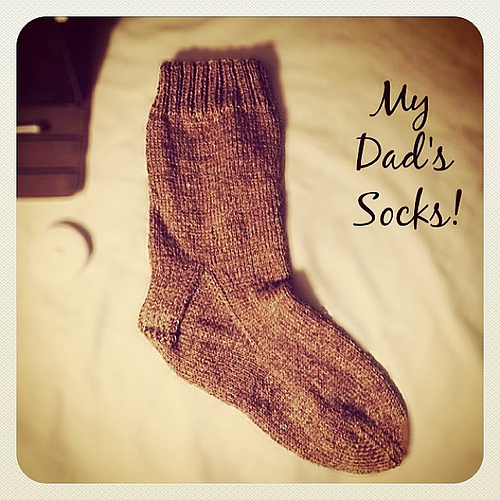 They are not pretty, but what the Mom wants…the Mom gets! 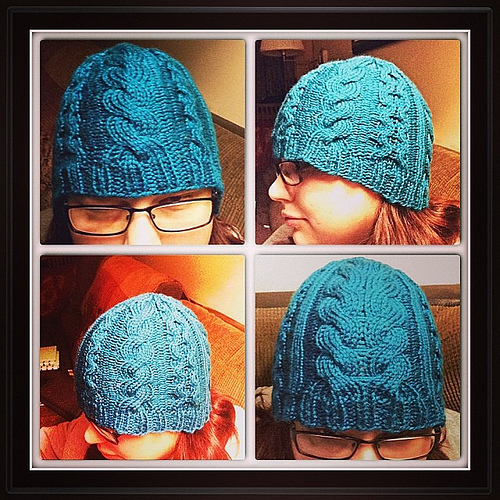 This is the really similar to the cabled hat I made for my first custom order – I just took out the cables I didn’t like and replaced them with new ones. As a result, the hat doesn’t have any weird bulges or gaps. Who wants that on their head? 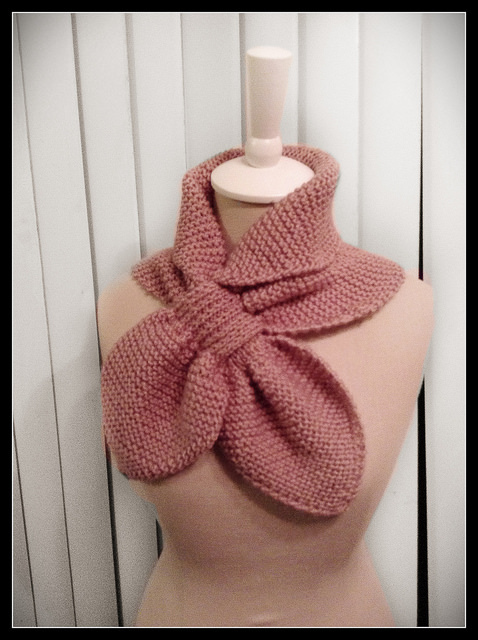 It’s made with Red Heart Soft Yarn in Aqua Verde. 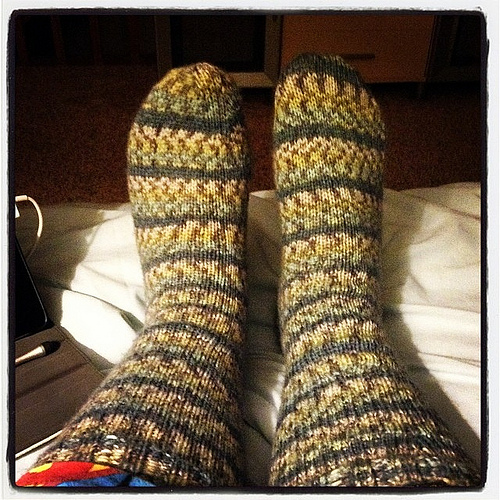 I did the pattern on 4.0mm and 4.5mm needles (US 6 and US 7) up to 6″ and then began the decrease. As you can see, it is really tight on my head – which means it’ll be perfect for someone with no hair. The color has a bit of a sheen to it and I really like the color …. all in all pretty happy with it. Magic Loop CAN be Magical! 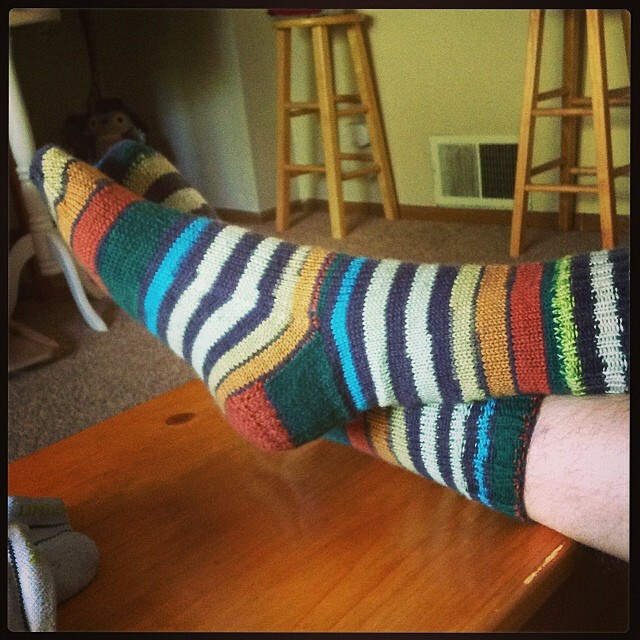 This is my own, weird sock formula – meaning I am stealing bits from all sorts of sock patterns until it fits me just right. 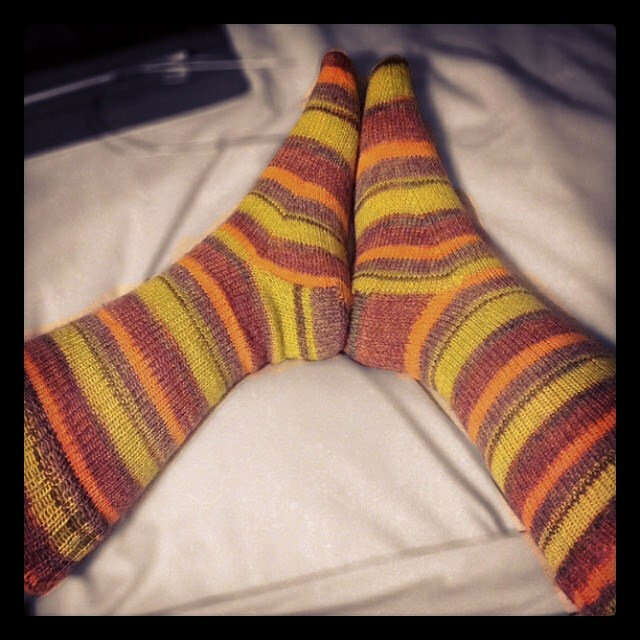 Sometimes I feel like Goldie Locks trying to make a sock…. 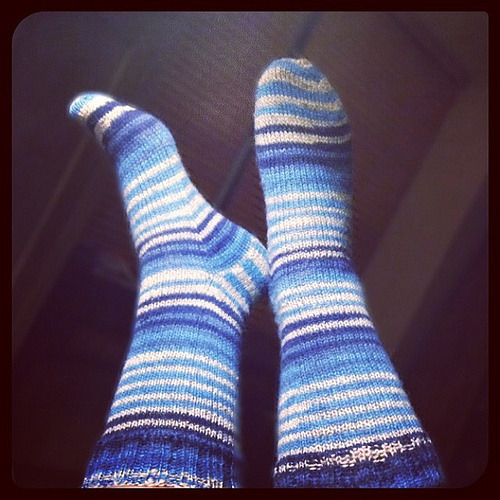 Anyway, the yarn is Patons Socks Yarn in Aqua Jacquard. 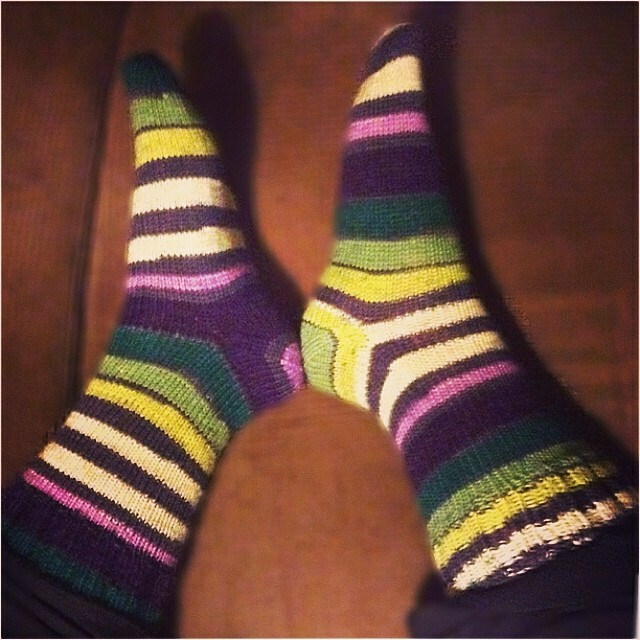 My plan when I finished my “perfect” sock was to knit it in something a little more expensive, but I actually really like this yarn. 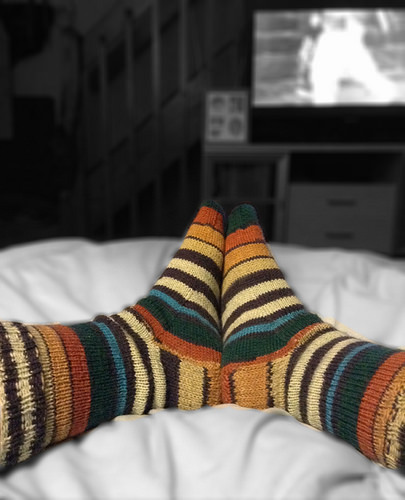 I’ve been wearing (and washing) my first two pairs of socks all month-long and they look just like they did when they came off the needles – so why mess with something that works? 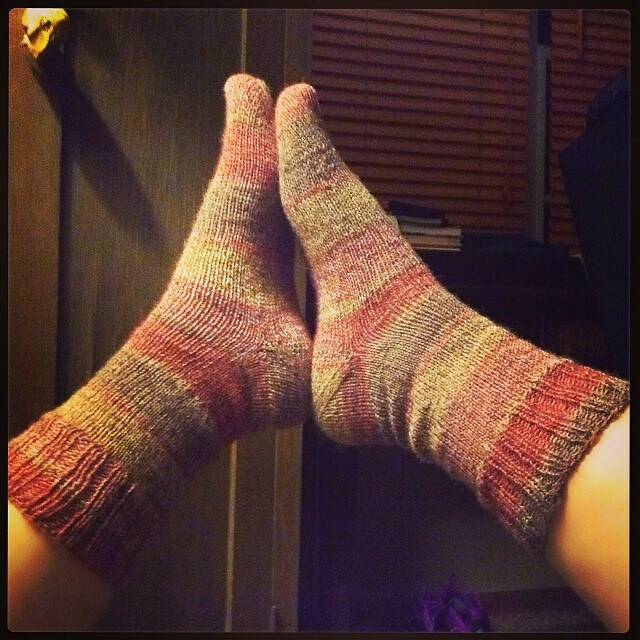 Higher end sock yarn will come, but for now my Patons and I are very happy. 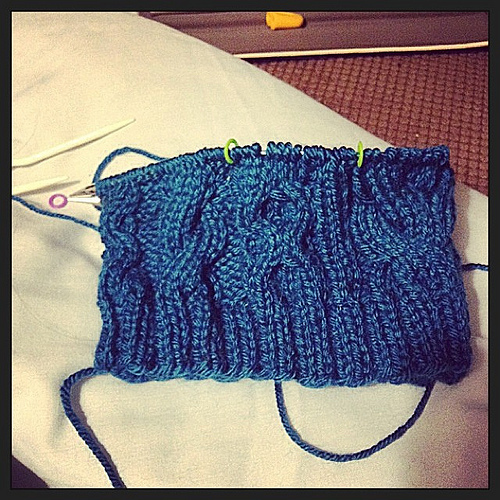 Also, for the first time in my entire knitting history, I am using magic loop – Huzzah! I went on YouTube and found a video I liked and off I went. I think the 40″ cord is a little fiddley (I found it sifting through my destroyed yarn stash after the pipe bursts, no idea what I had it for) but I am getting the hang of it. 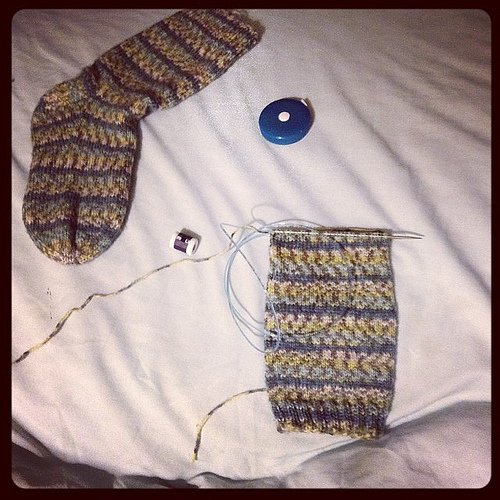 I am really looking forward to turning the instep, I just haven’t picked up those stitches since turning the heel. 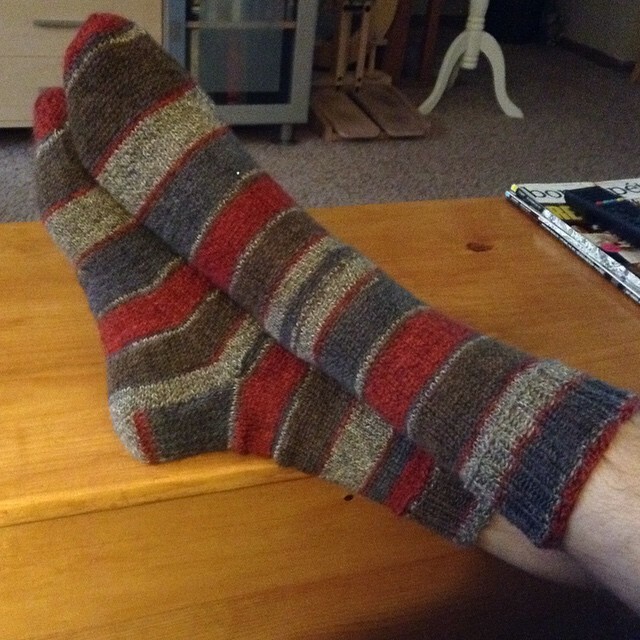 Also, with long, pointy needles I 1) don’t break them and 2) can knit backwards on the heel turn – something I’ve been dying to put into practice. One more amazing thing friends and neighbors! I did get an AMAZING birthday present from a near and dear friend of mine that I am dying to brag about. 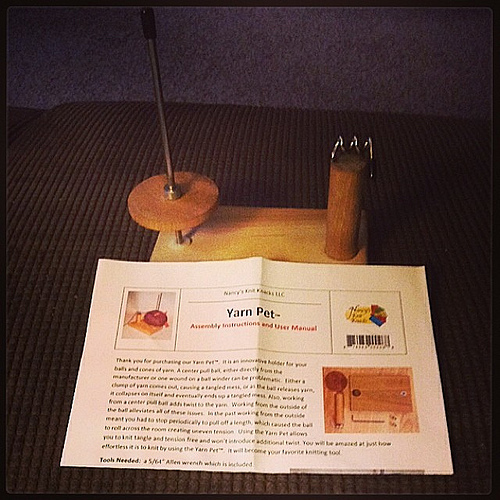 May I present….MY NEW YARN PET! Almost 1,000 words and time to sign off. 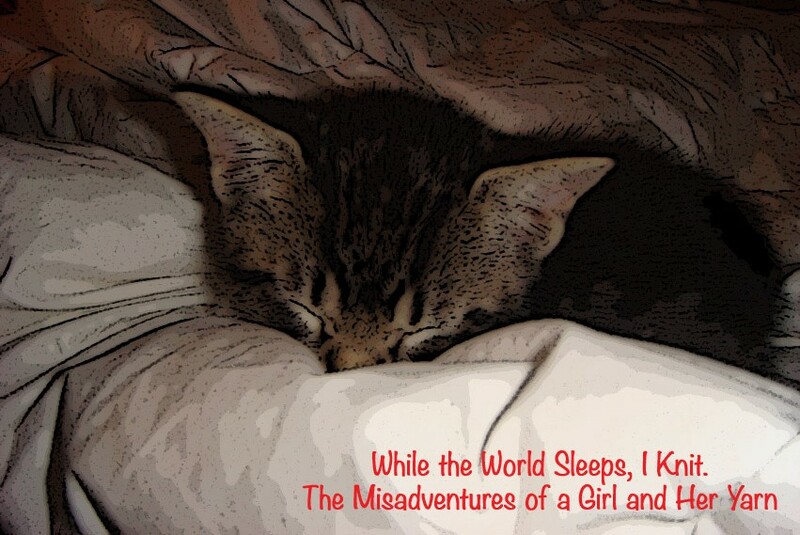 Have a great rest of your weekend and I hope to see you all really, really soon! This entry was posted in Blogging, design, Etsy, Family, Happy Place, Instagram, Kindness, Knitting, Knitting Patterns, Ravelry, Uncategorized, Yarn, yarn stash and tagged beanie, cabled beanie, cables, cowl, craftsy, craftsy classes, design, family, FO, holidays, knit, knit backwards, Knitting, leg warmers, lions brand, magic loop, needles, sock, sock yarn, socks, Susan Ashcroft, twisted stitches, vanna's choice, WIPs, worsted weight yarn, worsted weight yarn patterns, yarn, yarn pet on December 29, 2013 by allnightknits. 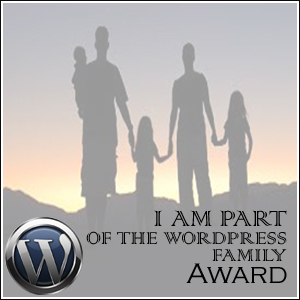 Check it out – it’s AMAZING!! 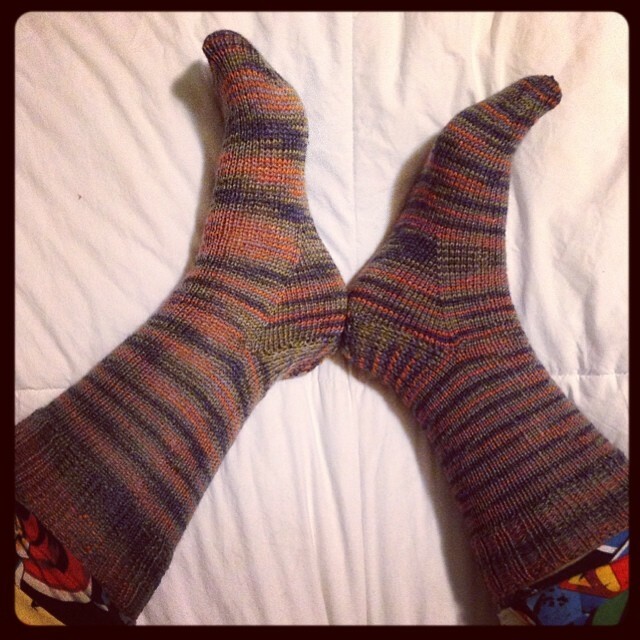 This entry was posted in Uncategorized on November 8, 2013 by allnightknits. 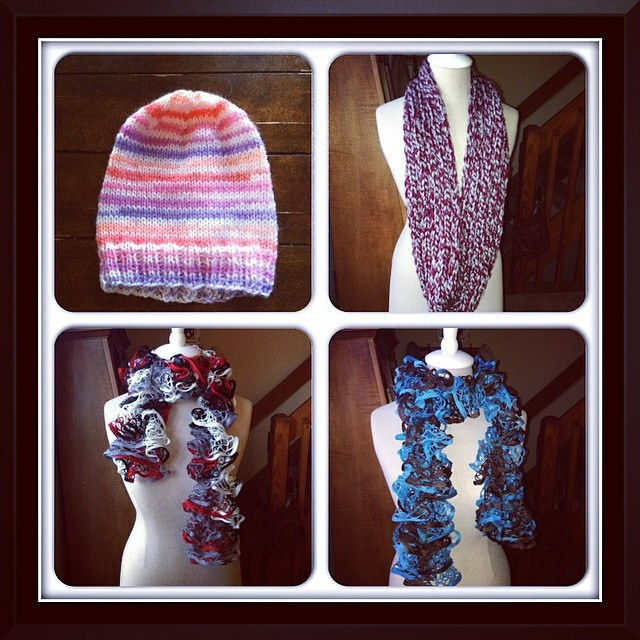 Click on the above title to enjoy this knitting awesomeness! Yeah, go ahead. Make the rest of us look like slackers! – Photo Courtesy of the Kansas City Star. Oh how I wish I could do this! MYSTERY BOX RECEIVED!!! CHECK OUT THE LUCKY WINNER!! She said pre-cancerous means that the spot they got is all set – no need for more work on it. But, I have three more smaller ones that look like the larger one, so they will come off at the end of the month. A got a good look at them, and so she will look for more on me like them. Hopefully, there aren’t any. 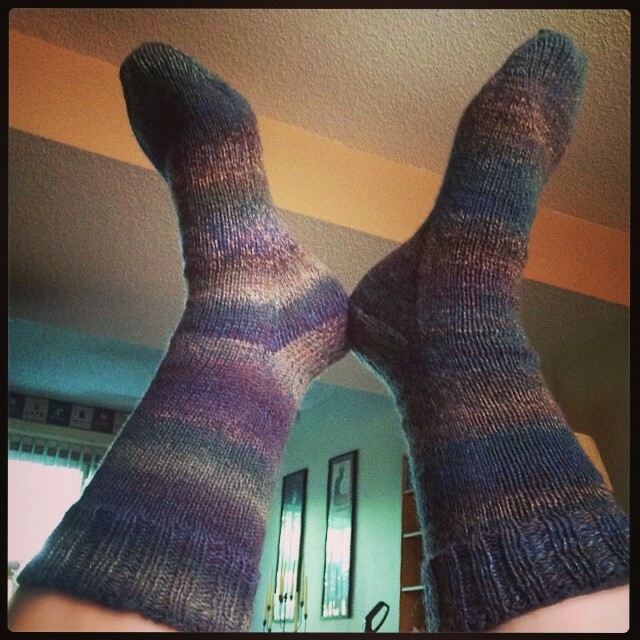 This entry was posted in Uncategorized on August 30, 2013 by allnightknits.